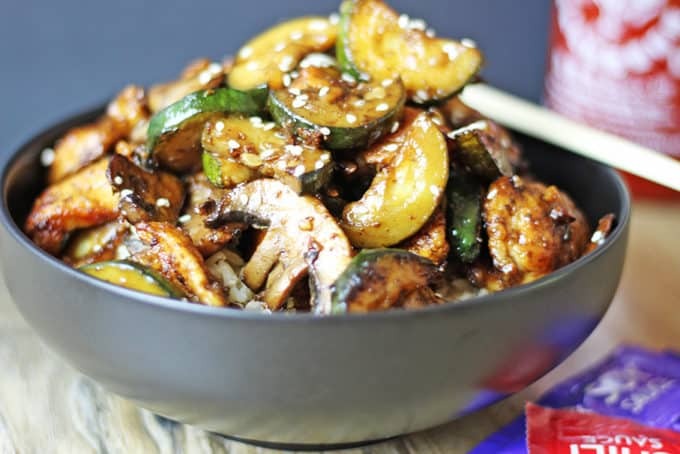 Panda Express Mushroom Chicken with quickly sauteed zucchini and mushrooms and tender chicken breast makes a delicious quick Chinese “takeout” meal you’d be happy to eat every night and that your scale won’t exact it’s revenge on your for it! Update: Over the last year we have made this recipe the original way and with small variations while taste testing against the original. Lots of Panda Express visits, lots of testing (think Monica trying to recreate Phoebe’s grandmother’s chocolate chip cookie recipe) and I think I’ve gotten to the point where we can call this a spot on copycat! Panda Express has been a go to take out lunch since I was a kid. 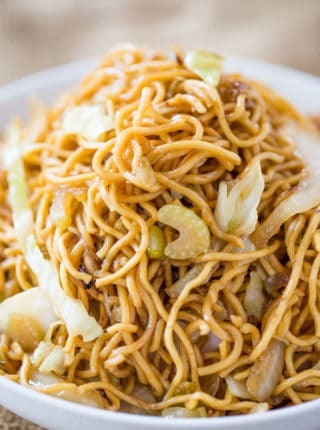 Orange chicken, beef and broccoli and chow mein had been my go-to order until I turned 21 and started becoming more aware of my calorie intake. When I started looking at the nutritional facts I felt a little sick. 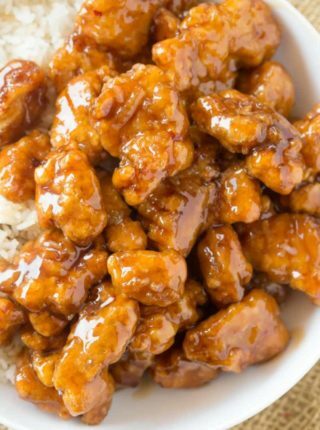 I had no idea such a small amount of orange chicken could pack in so much fat and calories. So I did a bit more research and you can enjoy Panda Express with FAR less fat and calories by choosing different “entrees.” My new go to became Panda Express Mushroom Chicken, beef and broccoli and steamed vegetables. I think that clocked in around 60% less calories! I did miss the taste of the orange chicken, but to be honest the mushroom chicken (which I normally would not have chosen) was DELICIOUS! It took me a fair bit of searching and a few failed tries at making a dish that reminded me of the original but this recipe has been our go-to for a couple of years now and has been universally enjoyed. The best part is, the recipe is so incredibly easy, you can throw it together in as long as it takes to make rice to go with it! I do have to add a disclaimer though, this is not a *spot* on recreation. The balsamic is a little strong so you can taste it. 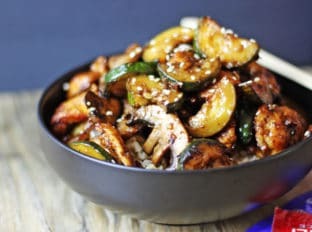 But it does taste a lot like it, so until I do more research this is the best I’ve got if you are looking for a copycat for Panda Express Mushroom Chicken! Yep, I have been working on this recipe all year and it’s gotten an update!! 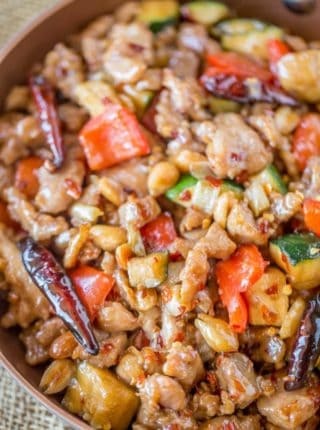 Keeping track of all the Panda Express copycat recipes here on the blog? You can find every single one of them on my new Panda Express Recipe Index, where every single Panda Express recipe has been recreated! 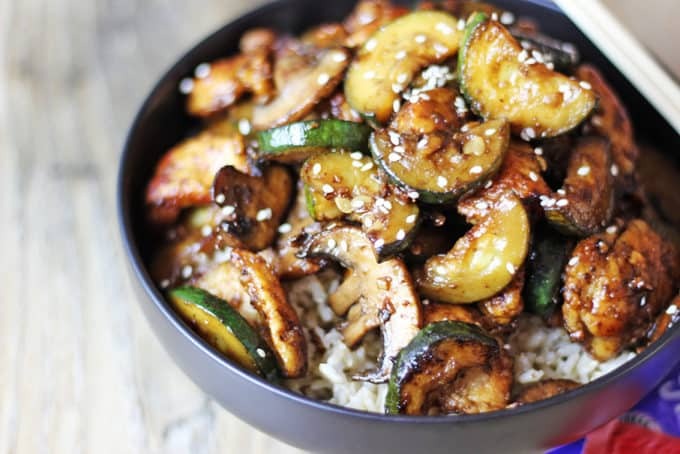 Panda Express Mushroom Chicken in just 20 minutes! You'll be sitting down to dinner faster than you could drive there and pick some up and come home! 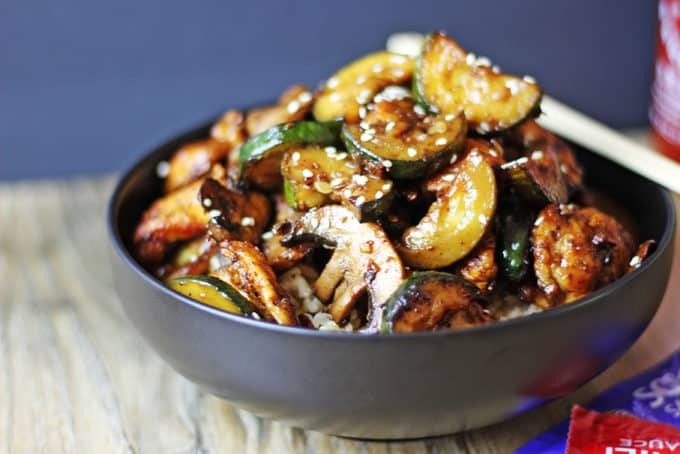 Lightly sauteed zucchini and mushrooms in a soy ginger and garlic sauce. Toss the chicken with cornstarch. Heat the canola and sesame oil in the pan. Add chicken and cook on medium-high until browned on both sides, about 2-3 minutes on each side. Remove chicken from the pan, and turn the heat up to high. Add in the mushrooms and zucchini and cook until they start to brown. Add the garlic and ginger and cook/stir for 30 seconds. Cook for another 2-3 minutes as vegetables soften a little. Add the chicken back in and stir to coat. Add in the soy sauce, sugar and rice wine vinegar and stir to coat. What brand/type of soy sauce did you use? I use Kikkoman. I find they have the best flavor overall and have a reduced sodium option too. Enjoy! This is even better than Panda Express ! And it comes out to only 3 Weight Watchers Freestyle points ! YUM! I’ve never eaten at a Panda Express but I made this for dinner tonight and it was astounding! My wife kept comparing it to our favorite Chinese restaurant (complete with a menu in Chinese). This will be a regular in the rotation now. Yay!! Thanks for the 5 stars, Tom. 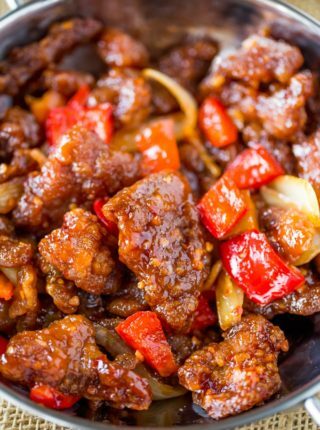 I’ve never purchased this dish at Panda Expeess, but this recipe on its own is outstanding! Minimal ingredients and simple to make. So yummy!! Thanks so much, Melissa! I appreciate the 5 stars. Haha, so glad you decided to give it a try! Thanks for the 5 stars. 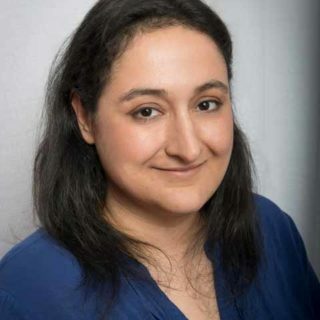 Thanks, Dina! So glad you enjoyed it! Going to do a trial run in very near future, because if this tastes as good as it looks my son will be doing this as part of his exam along with your baked rice.. will update. Never had it at Panda Express to compare, but this recipe is excellent—good flavor, lots of veggies. Highly recommended! I have prepared this dish several times….absolutely delicious and easy! Thanks for posting these wonderful Asian dishes. We live in an area with very limited dining out options and much prefer to cook at home with fresh garden ingredients! Just made this for dinner, finger lickingly good…. !